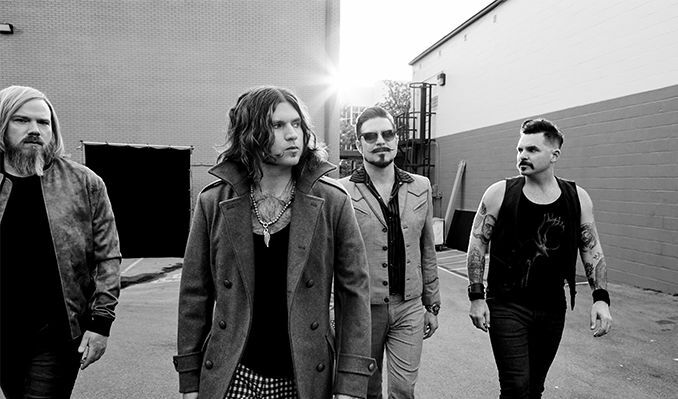 Between albums Rival Sons have a taxing tour schedule, original bassist Robin Everhart left the band in August 2013, finding that the touring life didn’t agree with him. Playing club shows, stadiums and festivals, the band convert new fans wherever they go. The band continued their touring schedule with long-time friend of the band Dave Beste (Maroon5, Rocco Deluca and The Burden) on bass, before returning to the studio in Nashville once again in Jan 2014 with producer Dave Cobb to record their 5th release ‘Great Western Valkyrie’.